We can look up in a mobile to find an answer to almost everything. A smart phone has become a requisite for everyone today. It is not just a means to communicate but a medium to find information, buy and sell goods and services, become fit, start your business, be entertained and many more. This magical device brings the world at your fingertips. But what is the mobile without the applications in it. It is of very little use. Different mobile users have different needs. To cater to this wide variety of requirements, mobile apps have been introduced. These applications are developed on different platforms like Symbian, Android, Windows, Blackberry, and iOS. Though Android by Google is the most popular platform used by app developers today. Android has progressed as an operating platform exponentially acquiring a huge market share. Many organizations are adopting Android to develop their apps for developing their business and boosting their revenues. Android apps are not just downloaded, they are actually used. By millions. This creates great value for the owners too! Businesses are using Android to develop their applications and users are happy to download and use them because these apps are simple and easy to use. Not just development but optimizing them for different devices is what app developers do. Aakruti Solutions is a top mobile apps development company in Hyderabad. We create user centric and innovate apps for businesses so that they can give a pleasant experience to its users. Since Android apps have the highest market share, if your business app is developed using Android, it has a higher chance of being downloaded, thereby reaching your potential customers in no time. We create powerful, flexible, and interactive Android apps with a record of designing and developing for almost all devices such as smartphones, tablets, and now Android wearable's. As one of the top mobile application development company in Hyderabad, we deliver the best and innovative solutions for our clients so that they turn into successful business units. With the development of impressive Android apps, we have resulted in millions of downloads. Today, it is hard for any business to be mobile present without developing an Android app. Since a majority of smartphones are built on Android platform, businesses want to develop their app on Android. We not only deliver a working app for your business, but our apps are the best Android apps that enables our clients to execute different marketing and revenue generating strategies. Create a powerful presence on mobile phones by highly responsive and native Android app designed by the best Android apps development company in Hyderabad. We convert our client's dream into a successful and innovative product. Our team of experts will not only create your Android app, but make your mobile presence so strong that will leave your competitors far behind. High ROI with economical expenditure. Easily customized according to varied business needs. Superior marketing and commercialization options. Top mobile applications development company in India, like us is a one stop destination for all your Android app development needs. We will understand your desired audience, business objectives and your Android app designed to solve the problem. By blending the user and company perspective, we design an app solution. Then our team of professional app developers, follow a method to develop an Android app efficiently. When this app is ready for the user, it is deployed in the app store. 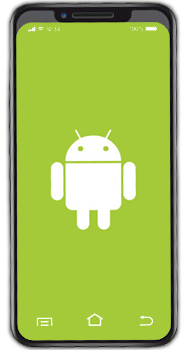 We maintain your app by keeping your work updated with the latest Android versions. We are are best android apps development company in Hyderabad. We have well talented and young professionals to serve you better. When you select one of the top Android app development companies in India, you don't need to worry about the high pricing. We deliver a high return on low investment. 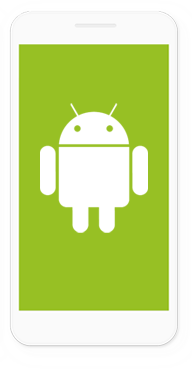 At Aakruti Solutions, we are masters in building a top quality Android app at reasonable prices. Our clients include a diverse selection of companies from e-commerce, travel to education and beauty. We have developed a variety of game apps, utility apps, food delivery apps, etc. for many businesses. As a team of best android developers in Hyderabad, we are well versed with our work and offer reliable android app development services in time at affordable rates. We deliver awesome quality, on time, every time. We offer a palette of our skillful designers and developers to make your app user-friendly, easily navigable and optimized to various devices. So if you have a brilliant idea, we can turn it to a commercial Android app. Aakruti Solutions is the best mobile applications development in Hyderabad, to transform your dream into a reality. Connect with us and see your idea grow and reach a global platform.